Shutter details bring a hint of relaxed island life to this solid, smart piece. 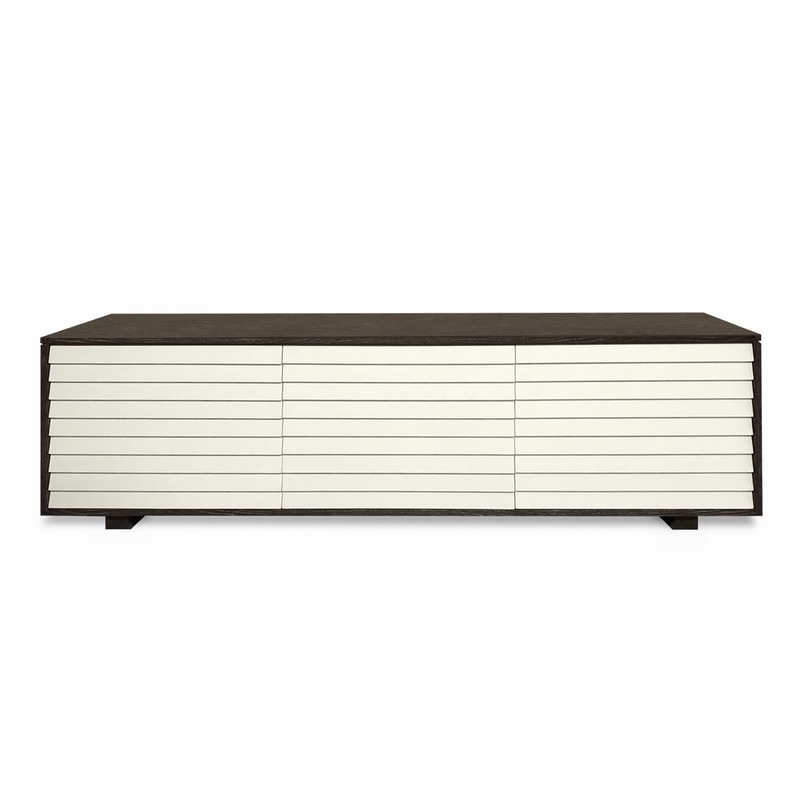 Shown with a rift-cut white oak frame stained in Charcoal and Swiss Coffee-painted doors, the Malta Shutter Buffet features ample surface space and concealed cabinet storage. Behind its shuttered doors, this buffet contains three center drawers flanked by adjustable shelves. As with all pieces from our Custom Furniture Collection, this buffet is made-to-order in Los Angeles and can be infinitely customized. 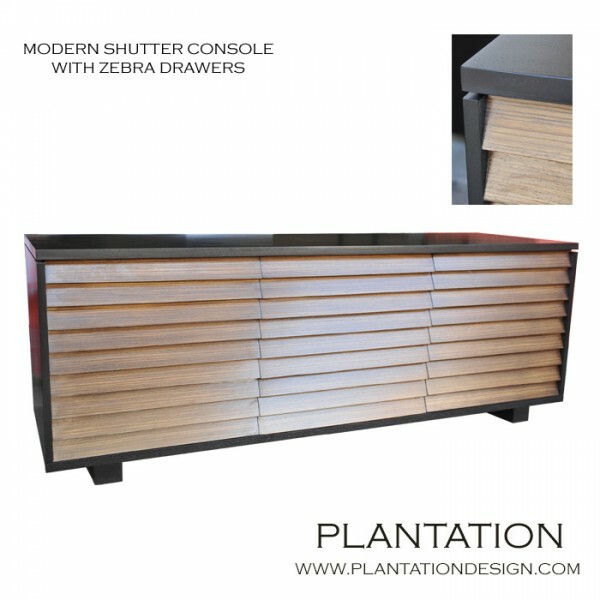 Choose your dimensions, configuration, wood type(s), and finish(es). For pricing, please call, e-mail, or submit an online quote request. Dimensions: W: 99" • D: 20" • H: 30"